This live auction item includes a week-long stay at Surfside Resort at Miramar Beach, Florida. Stay in a 2b/2b condo overlooking the beach; your choice from four weeks between May and September. 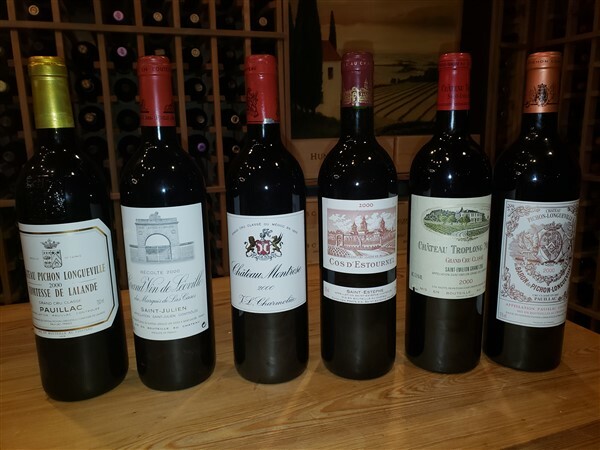 As we approach the 20-year anniversary of the vintage, it is appropriate to offer six of the greatest of the Bordeaux 2000 wines. All wine was purchased en primeur as futures and have been cellared in a temperature-controlled environment since. Wines include: 2000 Chateau Cos d'Estournel, 2000 Chateau Troplong Mondot, 2000 Chateau Montrose, 2000 Chateau Leoville Las Cases, 2000 Chateau Pichon Longueville Comtesse de Lalande, and the 2000 Chateau Pichon-Longueville Baron. Donated by the Meenan family. Believe it or not, these cooperative art pieces were crafted by our Pre-K2 and Pre-K3 classes. They will be included in the Class Creations student art auction at this year's Gala. We look forward to seeing you at the Gala so you can bid on these amazing items! Roma is hosted by the senior class to raise money to fund the Rome pilgrimage scholarship for their capstone trip in May. 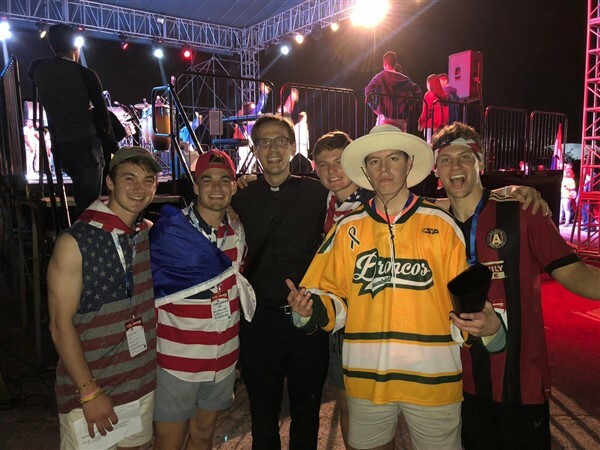 The scholarship helps ensure that as many seniors as possible are able to conclude their years at Holy Spirit Prep with this journey ad limina apostolorum. Join us for this evening showcasing the artistic talent of our students, offering auctions, featuring great fellowship, and serving delicious Italian food! Tickets are $25 per person at the door; $100 maximum per family. This year, we are using an online bidding platform for the silent auction items. If you've already purchased your tickets, we strongly encourage registering for the mobile bidding website prior to the event to expedite check-in. One of the most anticipated features of the evening is the Senior Service Auction. This live auction allows the seniors to share their time, talent, and service for a great cause! Winning bidders will have a chance to utilize their senior(s) during the school day on Senior Service Day. Questions? Feel free to contact Thomas Cole at tcole@holyspiritprep.org. Can't Make It to Roma? If you're unable to attend Roma, you can still participate in the silent auction through our mobile bidding website. Follow the instructions above to register and bid on-the-go! The 8th grade faculty and Upper School staff invite you to join us on Thursday, February 7, at 6:30pm, for an introduction to the Upper School. During the meeting, you will meet the 8th grade faculty, learn about Upper School academics and extracurriculars, and what to look forward to and expect for your rising 8th-grader as they join the Upper School next August. The Upper School international students, Pre-K2, and Pre-K3 students will parade around the Upper School gym to celebrate the Chinese New Year. Parents are invited to attend and celebrate with us! We look forward to seeing you at this fun and educational HSP tradition! 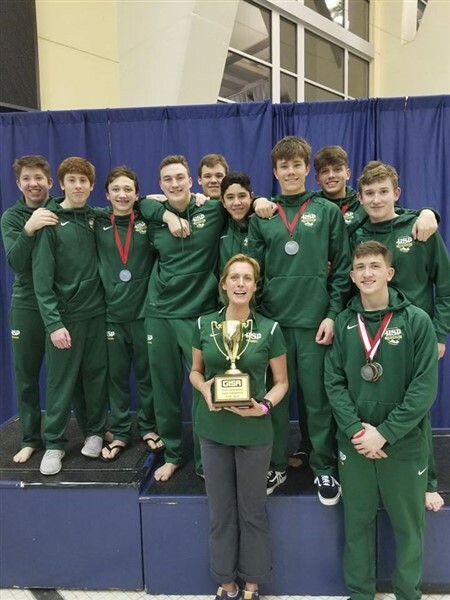 For the second year in a row, the varsity boys are your GISA AAA swim state champions. We are incredibly proud of our student athletes and Coach Star Brackin for their outstanding achievements this season. Last Wednesday, we celebrated our winter sports seniors at our last home basketball game of the regular season. We are so proud of all their hard work during the season, and we wish them luck as they start to plan for their future beyond HSP! The deadline to register for Lower School spring soccer has been extended to Friday, February 8. U6-U8 teams will have a professional, British soccer coach for 30 minutes of each practice session working on skills and footwork. If you wish to be a parent coach, please reach out to Coach Sam. U10 and U12 teams' practice days and times will remain the same as the fall schedule. Practices will start the week of February 18, and go through the end of April. Please read the registration page for more important dates. Registration will close February 1. Please sign up online before that Friday. 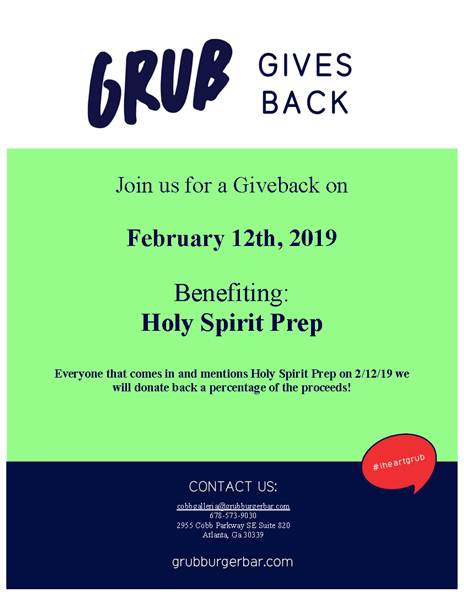 If you have any questions, please contact Director of Soccer Sam Walker at swalker@holyspiritprep.org. 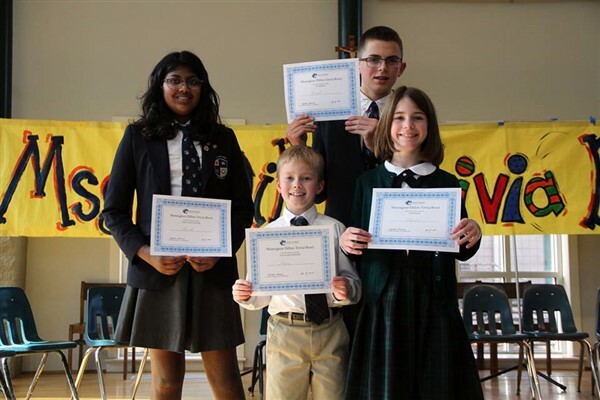 Last week, we challenged our Lower School students in their knowledge of Scripture, doctrine, and Church history at the Monsignor Dillon Trivia Bowl. Emil Sacco took 1st in the 6th-8th grade division, with Sarah John coming in 2nd; Olivia Casal took 1st in the 3rd-5th grade division, with Aaron Summers coming in 2nd. 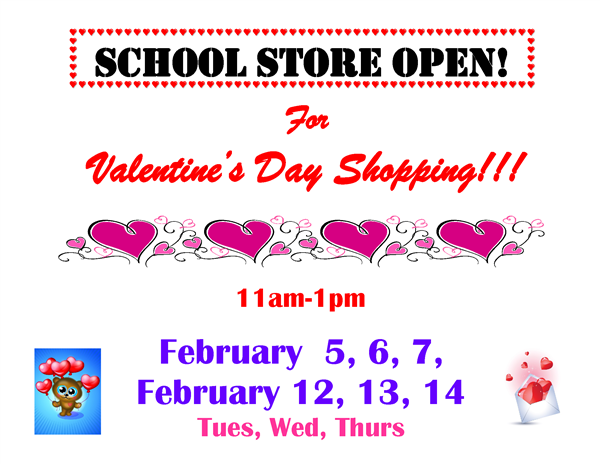 The Lower School Store will be open for Valentine’s Day shopping! Kids can shop for Valentine goodies and school supplies. The store will be open during lunch and recess on the dates on below. Most items range from 10 cents to $5. So, send your kids with a few dollars or have them do chores and earn their spending cash – they love the experience of buying stuff on their own! 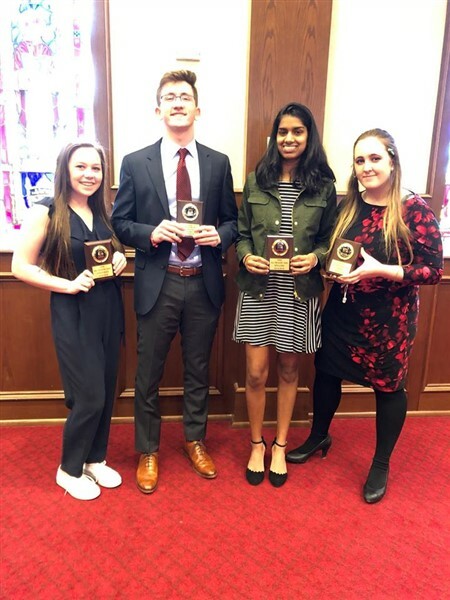 Congratulations to Megan Turpin, William Arnold, Sophia John, and Samantha Gregory who took 1st place at the GISA Region Literary Competition hosted at HSP, in Solo, Argumentative Essay, Spelling, and Piano, respectively. We're proud to announce that Anna Neligan is this year's Logos Bowl champion! 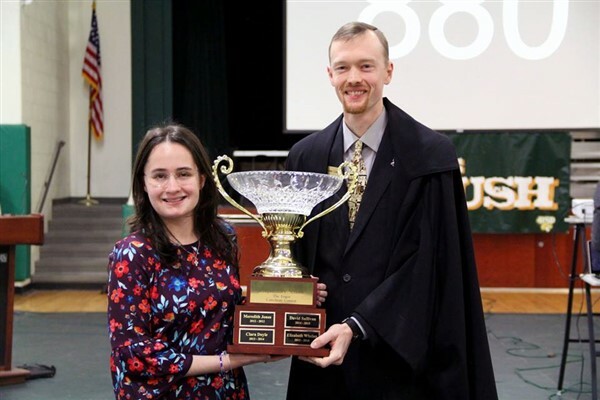 The Logos Bowl is an annual competition in theology, Scripture, and Church history, held during Catholic Schools Week. After finishing as runner-up the past two years, Anna took 1st place against last year's champion Watson Casal in a nail-biting tiebreaker showdown. Way to go, Anna!